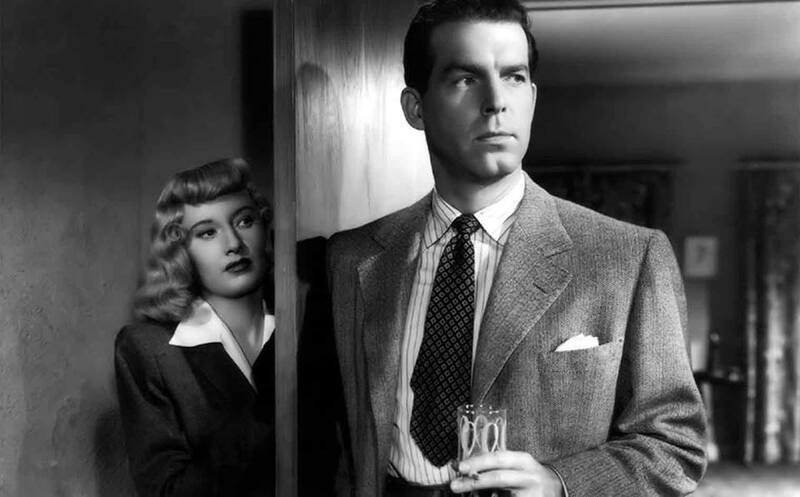 In this classic film noir, insurance salesman Walter Neff (Fred MacMurray) gets roped into a murderous scheme when he falls for the sensual Phyllis Dietrichson (Barbara Stanwyck), who is intent on killing her husband (Tom Powers) and living off the fraudulent accidental death claim. Prompted by the late Mr. Dietrichson's daughter, Lola (Jean Heather), insurance investigator Barton Keyes (Edward G. Robinson) looks into the case, and gradually begins to uncover the sinister truth. Passed / 110 min. Free to Attend. Join us for a postshow discussion on Film Noir moderated by Illinois State University's William Thomas McBride.